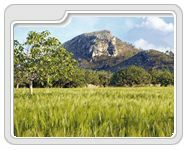 Alcudia (Puerto Alcudia) offers great nature activities and attractions for the nature lovers. The environment in Puerto Alcudia and at the surrounding area is very beautiful. Nature still prevails here in Alcudia and around. Most of the region with its beautiful coast, mountains and marshes is protected land and variety of interesting native plants and animals can be found. A fun day out at the beaches in Alcudia is one of the best things to do in Alcudia. 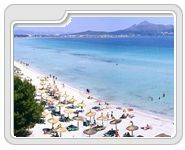 Alcudia beach is the main beach of Alcudia stretching 9 km from Puerto Alcudia to Playa de Muro and Ca’n Picafort. Beachgoers may walk all the way to Ca’n Picafort along the Alcudia beach. S’Albufera Natural Park is a wonderful natural park and a nesting site for birdlife. 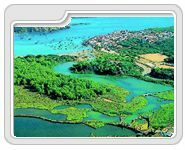 The park has a total area of 1708,75 hectares and it is the largest and most important wetland area in Majorca. La Victoria Chapel is one of must see places in Alcudia, Majorca and it is located about 7 km. from Alcudia. The region is one of the points of reference on the mountain of Alcudia and is home to a small chapel. There are numerous day trips from the point for the holidaymakers to enjoy the spectacular views and landscapes. 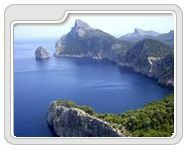 A visit to Cap de Formentor and enjoy the beautiful scenery and nature is a great nature activity for the nature lovers. Cap de Formentor is about 385 metres from the sea level and offers great views.